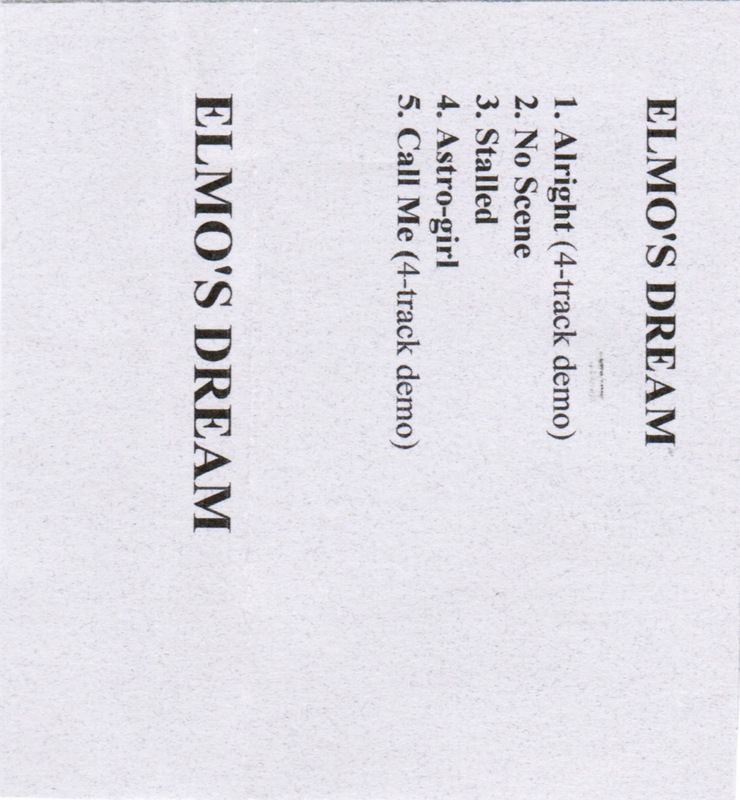 We were a bit surprised to find another Elmo's Dream tape in Ian Doig's collection, but we're nonetheless pleased. We always likes these kids, even when they stopped being kids - which we suppose is when this tape is from. There's no year on the minimalist j-card, but the inclusion of "Astro-Girl" (one of the stand-out tracks from the Play compilation) makes us think this is from 1995. Also, the boys seem to have graduated purely from 4-track bedroom recordings to some hybrid of 4-track bedroom recordings and others likely recorded (or re-recorded, as they appear on earlier Elmo's Dream tapes) in Jeff Burns' basement. That treatment doesn't make this any less Sebadoh-y in its goodness, though.